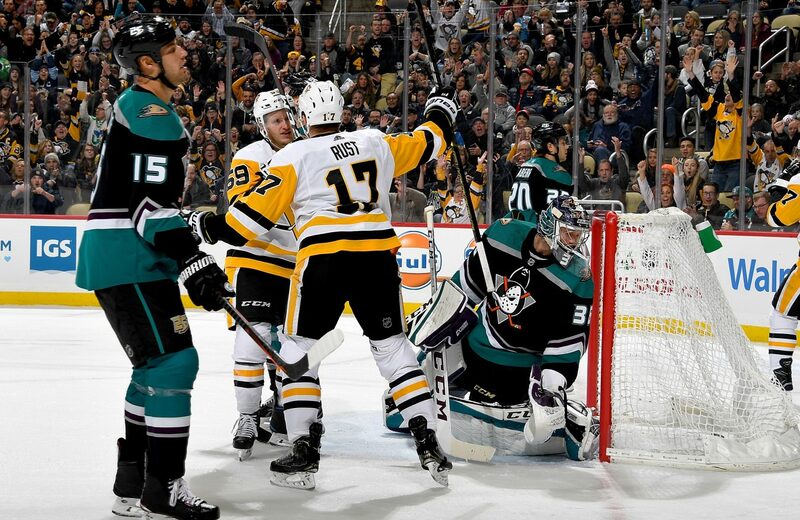 Bryan Rust is Putting up Ridiculous Numbers - The Point Data-driven hockey storytelling that gets right to the point. Bryan Rust is on a heeeeeeater. Rust has 5 goals in his last 4 games after scoring 1 in his previous 29 games. So, what’s going on with this guy? 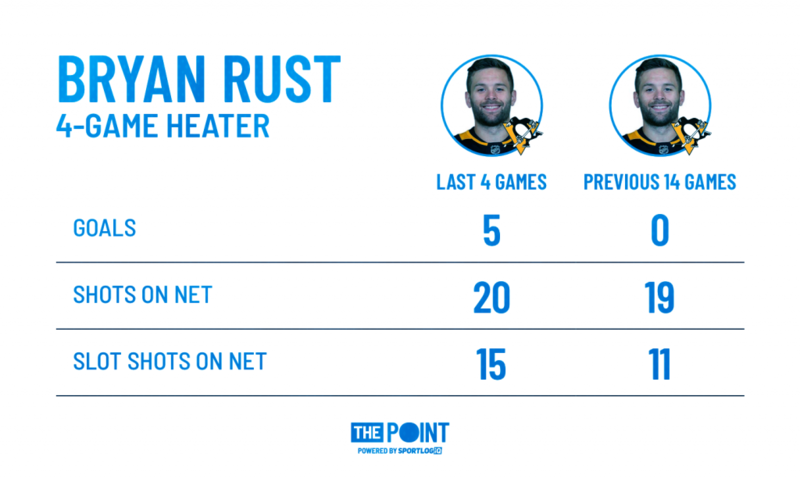 Well, it helps to be playing on a line with Sidney Crosby and Jake Guentzel but make no mistake, Rust is outplaying everyone on his team, right now. Rust has more goals, obviously, more shots and more quality shots on net in his last 4 games than he had in his previous 14 games! That is a heater, my friends. Rust’s 15 slot shots are almost twice as many as anyone else during the last 4 games as Phil Kessel and Guentzel are tied for second on the team with 8. Oh ya, when he hasn’t been filling the net, he’s been doing his best Bill Ranford impression.